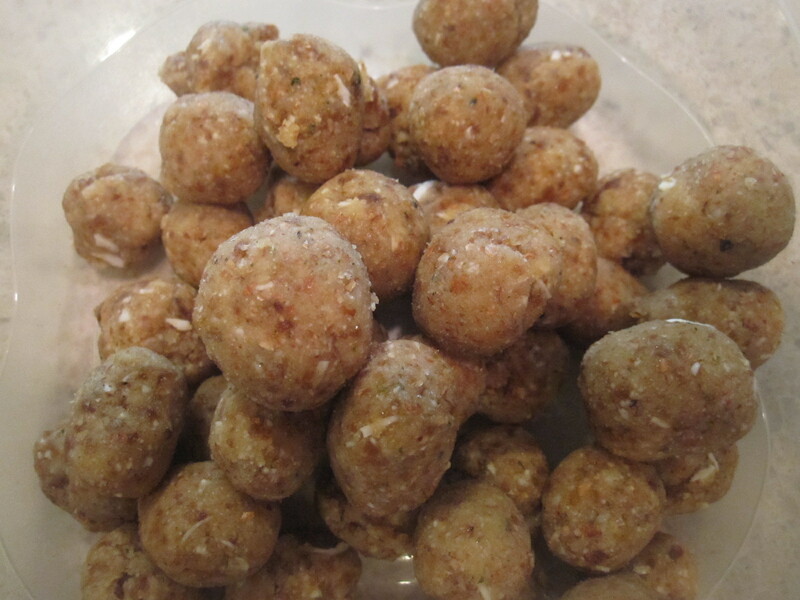 I had some leftover nuts and apricots so I threw together this ‘raw ball’ (or, as I call them below ‘raw nuggets’) snack recipe. Just shows how quick and easy these are to make! These measurements are approximates. I literally just used what I had left and it actually formed into a nice consistency for rolling into bite sized balls. Blend all ingredients in Food Processor and roll into balls. Store in refrigerator.